This year's summit will look to support business to reduce their carbon footprint, to reduce energy use and costs, win business and to support innovation to develop into the growing Low Carbon Environmental Goods and Service (LCEGS) markets - all to develop a more sustainable business model. In addition to the cost savings and energy reduction opportunities businesses should be aware that more than 1,500 businesses, employing 35,000 people across the East Midlands supply low carbon goods and services across a variety of sectors (Department for Business Innovation and Skills, 2015). 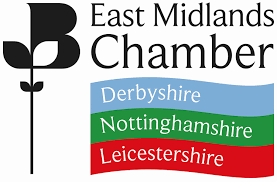 Recent information from the East Midlands Chambers Quarterly Economic Survey also shows that more than 4 in 10 of these companies anticipate growth in demand for their services - clearly a growing market with business development opportunities. The summit will include a series of key note speakers and workshops, with an emphasis on practical takeaways. In an offer exclusive to Love Business our readers who are not members of the Chamber can attend this event at the members rate simply enter “Love Business” in the text box and you will recieve a £55 reduction on the non-member rate. Christian Bonard, Head of Environmental Sustainability for HS2 Limited will discuss their procurement process relating to the demands to prove their environmental and sustainable sourcing practices – this will provide delegates with an insight into these requirements will enable businesses, hoping to be part of the supply chain, to start addressing their business practices in this essential area. ECA Group - Energy Legislation. The horizon - The none commodity element of our energy bills is due to rise from 55% today to 70% by 2020. Green taxation and the decarbonisation of the grid has to be paid for and we’re all liable. It is critical to understand this legislation, which will define these increases and how they can be turned to an advantage if viewed in the right way. Energy Management. The journey to sustained financial benefit. - Energy Management provides cost reduction which delivers enhanced profitability direct to the bottom line of your business. So why do so many businesses ignore it? We want to help business understand opportunities for energy reduction via a short workshop which shares experiences and discusses how to remove boundaries for its implementation. Jerome Baddley, Head of Unit, Sustainable Development Unit for Health and Social Care, NHS England - details of the sustainable supply chain procurement practices and how business can improve their success rate when bidding for work.